So the truck went into the paint shop 2 weeks ago for a full color change. Also ordered all new exterior plastics to replace the worn and faded ones, with a bumper valance too. Katzkins leather seats should be in within the next week also. i'm hoping to get the truck back and put together for Allstars in 2 weeks. 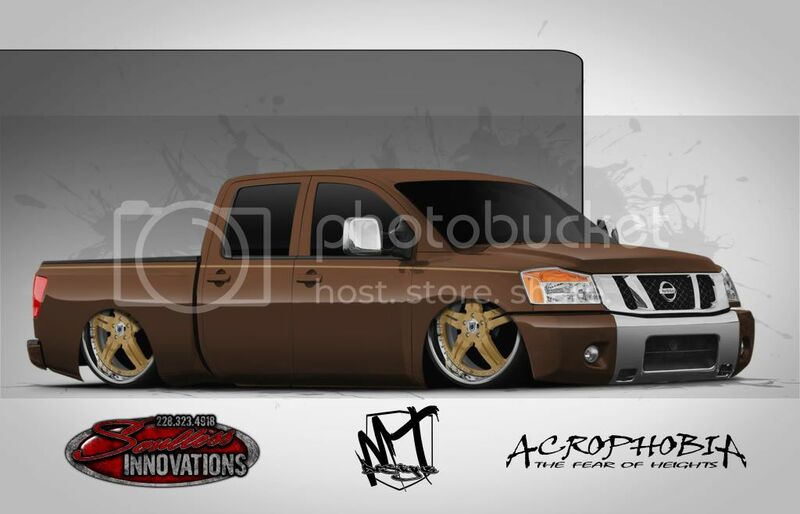 got a rendering done for the truck. Looks sweet man, I like the brown! That thing is gonna look so sweet! 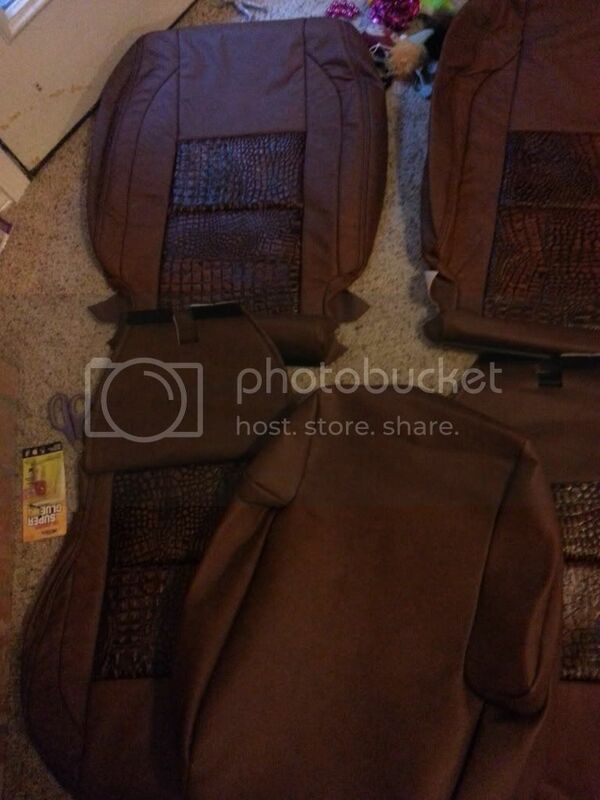 my seat covers came in. THanks guys, im hoping to have it mostly completed by slamfest at the end of the month. nice! love the seat covers, they look commmmmfy! UPS TITAN coming to SEMA 2014.....lol.....cool.